The new school term has only just begun and I am guessing it’s already feeling as though you have never been away! The to-do list is just as long as it was when last term ended. There are still a high volume of issues demanding your attention — and you may feel as though you are struggling to keep the feeling of overwhelm away from your door! There may appear to be so many choices and decisions to make, that it’s feeling hard to know where to begin. When we’re feeling overwhelmed with competing options, it’s important to take a step back and decide on your priorities and plan around them. Sometimes, it can be hard to see the wood for the trees and to do what feels right for you, so it’s best to have a strategy that can help you to be both decisive and more effective with your time. The best strategy always begins with a plan. Without planning, you may end up picking whatever’s closest to hand, whatever’s screeching the loudest, or whatever seems least unpleasant in the moment. Time often proves that when decisions and choices are made under these circumstances, the outcome is often far from what you had originally hoped for. When we plan, we create focus, structure and order in our minds. As a result, we provide ourselves with a scaffold that will support us to perform at our best. Whilst making a to-do-list is a good start, it’s even better to make a schedule for each day. This eliminates in-the-moment decision-making (which, yes, it’s appreciated as a school leader, this is sometimes necessary) however, a schedule can help you to be realistic in terms of what you are able to do in the time available. 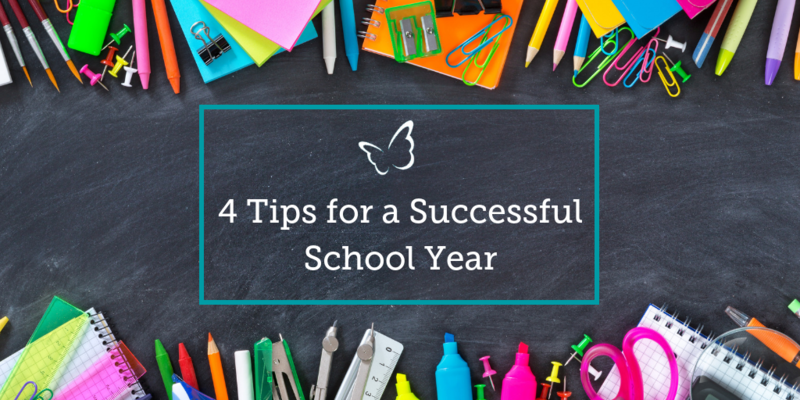 As you know, only too well, as soon as the term starts, it takes less than a week for the to-do list to grow infinitely long and the school calendar to become full with meeting and appointments. So, decide on your priorities, the schedule that will work best for you. In doing so you’ll find that you are able to be less reactive in your responses and as a result experience a greater sense of control when dealing with the demands of your role. You know your ‘Why’, your purpose and the reason you are a school leader. You know why, despite the nerves in your stomach and the back to school feeling at the start of the year, that you led the first round of assemblies and staff meetings. You know that your ‘Why ’is your inner fuel, it’s your motivation for leading your school and serving the pupils and families within your school’s community. As Mary Myatt, has reminded many a school leader vision and values must be “lived not laminated”. Why? Because they are the elixir of the school leader’s life, a cure for the disheartened when times are tough and therefore must be shared with and drunk by all who want the very best for our children. So, to keep your spirits up as the term progresses, try to develop a daily practice that keeps you connected to your vision and purpose and what matters most to you as a school leader. Doing so, will help to ensure that your vision breathes life, authenticity and integrity into all that happens within your school. Despite what policy makers and others might say, you know that success isn’t achieved solely through techniques, learning models and strategies (even those these help), it is by and large, achieved through people and the relationships that we build with them. What’s more, it’s not just about the efforts and expertise of one individual, but the combined efforts, commitment and successes of all those who are involved in working together in pursuit of a common goal. School Improvement is tough! You know that. But choosing to invest in the people around you, can help to ensure that the road to success is just that little bit less arduous and just that bit more rewarding. Having been a teacher and a school leader, I know how incredibly easy it can be to inadvertently sacrifice your own well-being. The children and the community have to come first. Right? I hope by now, there has been enough press coverage on teacher burnout etc for you to know that this is simply a faulty way of thinking. It leads to stress, ill-health and high attrition rates. For our children to do well, you have to put yourself first and recognise that you matter. To maintain your ability to lead and inspire others, you must intentionally create ‘me’ times – times when you can genuinely switch off from work and spend time doing the things that help you to re-balance. Doing so is not selfish, as without this time, the dividing lines between personal and professional self can become blurred. We can begin to experience extreme levels of mental and emotional exhaustion. Which can be debilitating and leave us no longer being able to perform at our best and effectively meet the needs of others. Wanting this year to be different from the rest? If any of this resonates, particularly this last point and accepting that it’s OK to put yourself first, then I’d encourage you to try and develop new ways of thinking that enable a balanced commitment to both your personal and professional lives. To help you do so, I’d like to share with you my “Complete Guide to Work-life Balance” which I hope will help to make this task that much easier. The tool is designed to help you assess and identify the areas where change may be needed. 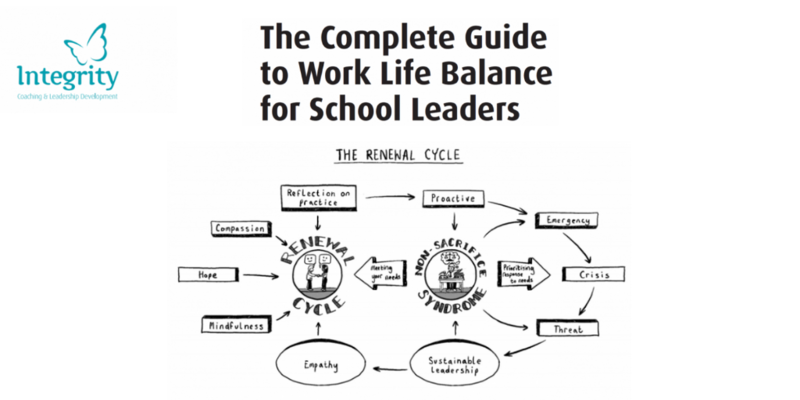 It will help you to plot meaningful steps towards bringing greater balance into your life as a teacher or school leader.